GS Yuasa Battery Sales UK Ltd have added a brand-new Uninterruptible Power Supply (UPS) battery search function to their industry leading online battery lookup system. The powerful new lookup feature can be accessed for free and will enhance the way replacement UPS batteries are selected. The new easy-to-use search function will allow users to quickly find alternative replacement batteries for the original equipment ones fitted in their small UPS systems. Yuasa distributors and businesses can now search for the correct batteries by either make and model, or by a battery cross reference search. With over 800 unique UPS machines listed, the make and model search features all major manufacturers including AEG, APC/Schneider, Belkin, Best Power, Eaton and MGE. Once the correct model is identified, the system will provide the correct Yuasa battery and the quantity required. When searching by cross reference, users can simply key in their existing battery part number. The system then searches a database of over 400 battery reference numbers from all major suppliers to identify the correct Yuasa equivalent. The introduction of the new UPS battery search is another addition to a long line of innovative tools Yuasa has developed to assist its distributors and customers. 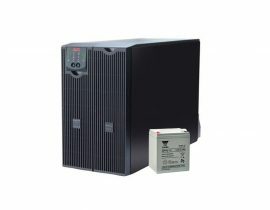 For over 30 years GS Yuasa Battery Sales have been the leading supplier for industrial batteries in the UK, offering a wide range of batteries for many different types of industrial systems. Receive the latest news and offers from Yuasa straight into your inbox by signing up to our consumer mailing list. Alternatively Click Here to sign up to our trade mailing list. © 2014. GS Yuasa Battery Europe Ltd. All Rights Reserved. Please select which application you are interested in?